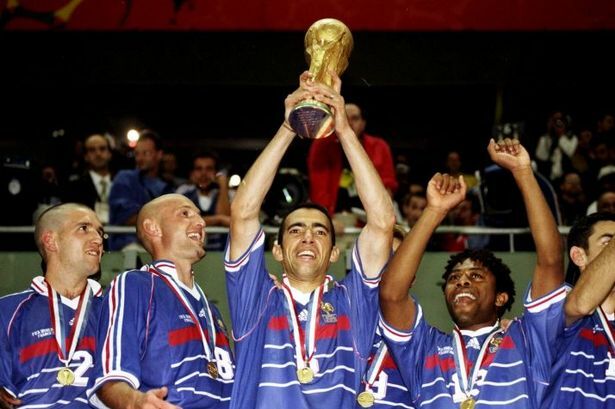 France has just won the FIFA World Cup for the second time in their history, 10 years after they played host and won it for the first time in 1998. 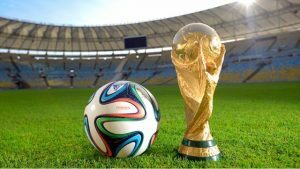 The FIFA World Cup trophy, which was initially called the Jules Rimet trophy, was named after the French football administrator who was the 3rd President of FIFA; serving from 1921 to 1954. He served in office for 33 years as FIFA‘s longest-serving president. He also served as the president of the French Football Federation from 1919 to 1942. On Rimet’s initiative, the first FIFA World Cup was held in 1930; hence The Jules Rimet Trophy was named in his honour. It is therefore no wonder that the acronym FIFA stands for, Fédération Internationale de Football Association. With the exception of Russia the host country, all 210 eligible national teams registered for the preliminary competition; with the exception of Zimbabwe and Indonesia who were disqualified even before playing their first matches. Zimbabwe was expelled for failure to pay their former coach a severance fee, and Indonesia following their suspension by FIFA. There is a consensus that this year’s world Cup has been the best in recent times. The usual crowd trouble that characterises this tournament was kept to a minimum, and for the first time in many years, hooliganism failed to make the headlines. I am sure that most of the hooligans, including the ultras had read the brief biography of Vladimir Putin and came to the conclusion that Putin himself co- authored “An Idiot’s Guide to Human Rights Abuse”. They were not ready to take their chances with him; especially when Putin had invested so much to showcase Russia as a loving and welcoming nation. We all know how much bad press the doom merchants had peddled in the run up to the world’s biggest show; ranging from racism, kidnapping, homophobia, terrorism and right down to doping scandals. Putin was not going to allow any hooligans to get in his way of some national image reconstructive surgery. It all passed with relatively pleasurable ambiance that you can only associate with a Brazilian carnival. Thank you Mr Putin, the Russian football federation and the people of Russia. SPASIBA. Google it. I just remembered; France won the 2018 World cup. We all saw the joyful scenes that followed the victory all over France. Interestingly, the celebrations were not confined to France alone. The majority of Africa and its fans rooted for France to win, thanks to the complexion of the French team; which had no fewer than 15 players with African DNA in their 23 man squad. Phew. And you wonder why many people, especially of African descent were celebrating as if Botswana won the World cup? There have been a lot of jokes made about Africa winning the World Cup. The last time I checked 5 teams represented Africa; I mean geographically. None of these teams made it to the second stage. We all witnessed how through no fault of theirs, but intoxicated by the twin diseases of complacency and a serious bout of unprofessionalism, Senegal and Nigeria contrived to knock themselves out of the 2nd round. The rest is history. There is no doubt that Africa had high hopes for this tournament and with good reason though. This was especially after the cameo performances of Ahmed Musa of Nigeria and the team effort of Senegal. With that said, Africa had no business interest in the remainder of the World Cup, as any semblance of further participation from our representatives were effectively snuffed out by Argentina and Columbia; who by reputation were not even at the races this year. This was not the issue of African teams being eliminated. What made it painful to bear was that, Senegal and Nigeria were at best odds to progress, but they successfully snapped defeat or elimination out of the jaws of victory. That was what was painful, and that was what put the continent on rebound. So it is not surprising that people have been hitching a ride on the success of the French team, calling it an African team. People like Obama, Trevor Noah and many others have not passed on the chance to remind France that Africa won the World Cup for France. I get the joke, but nothing can be farther from the truth. It should teach us that when we value and concentrate on what binds us together than what separates us, we can achieve a common goal for the good of all. This should be seen as a message to the rest of the world, especially when we have the likes of Donald Trump, a son of an immigrant to the USA, demonising diversity and canonising segregation. Perhaps it was a good thing the USA was not involved in this year’s World Cup. Can you imagine what his twitter message would have like in his congratulatory message to President Macron of France? No, it’s not building the wall. He would have admitted that Russia interfered with or tried to influence the outcome of the world Cup world. And that would have been a first. What makes this victory symbolically important is the backdrop of the tournament itself. The victory took place in a country that has a chequered history on racism and diversity. France has been one of the countries that proudly preach integration but practises laws that ban people’s individuality; as if trying to shake hands with clenched fists. We have the Brexit conundrum that was largely breast fed on a diet of immigration. While others try to see diversity is an art of thinking independently together, others see it as an excuse for the return of fascism. If there is anything to take out of the victory for France, it is that we may have different religions, different skin colour, different languages, but we all belong to one human race. (Kofi Annan). Let’s have a short history lesson here. Africa was forcibly made to play host to many European nations. That period was called slavery, which morphed into colonialism. We were told that we needed God in our lives and that as a continent; we were totally bankrupt in civilisation. Some came with the whip, others with the bible. So we were told to shut our eyes and kneel to pray. When we opened our eyes, we had the bible in our hand and they had the land; magic. Some decided to stay and never thought about leaving. They called it assimilation. Others decided to stay, but knew they had to leave some day. They called it divide and rule. And now you’re wondering why Africa won the World cup for France? No, Africa did not. France showed us what diversity can bring to a nation; if we all try to harness the finer parts of it. Strength lies in differences, not in similarities. The victory has a touch of the African flavour though. 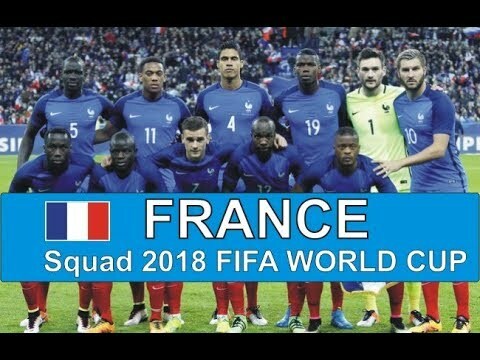 But no, Africa did not win the world cup for France. Diversity won the World Cup. Never mind, It’s coming home…….not until…….